Did you know that it takes a potential employer an average of 6 seconds to decide whether or not you're right for the job?! I Was equally Gobsmacked when I read that myself. Which is why it is highly important that you formulate you resume in such a way that'll not only optimize your personal brand but also a way that'll help yield results and land you that dream job! And these are the 3 ways that'll best optimize your resume and help you land that dream job you've been hoping to land. Your first port of call is your Summary Statement. 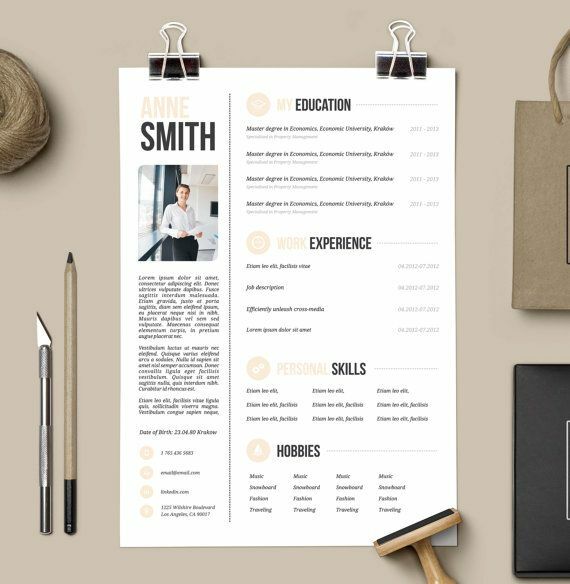 It has been proven that that space of your resume is a goldmine in that it's the first thing the potential employer looks at, and the only place they've been known to spend the longest. So make sure you list the majority of your accolades in this section. Because this is the part of the resume where you're allowed to brag a little. So use that to your advantage as you summarize your skills in just a few short sentences in order to give the potential employer an overview of your skills and aptitude as a candidate. This is the next bit of your resume that a potential employers will take time to skim through. So make sure what you list under this section backs up what you've said under your Summary Statement. Another way of optimizing this part of your resume is to use action words when describing your duties under each role. Using action words like: Initiated, Achieved, Managed, Spearheaded, Implemented, Executed, etc. shows that you're the kind of individual that delivers results in any role (s)he undertakes. So, ensure that you use action words when describing your work experience. For example, you could say something like: "Devised and implemented a new sales training programme which resulted in a 37% increase in new business." Given the sheer volume of resumes that any hiring manager may receive whilst searching for a suitable candidate for a role, it may be easy for them to not remember all the names of the candidates they've received resumes from. Which is why it is imperative that you use big bold letters to emphasize your name across the top of you resume as it'll make you more memorable to the hiring manager. Designing and using your very own wordmark or logo of your name is even more effective as it emphasizes your personal brand - but if you choose to go down this route, I would advise that you include your full name in print as well as the logo of your name so as to illustrate what the logo denotes and stands for. So... there you have it! 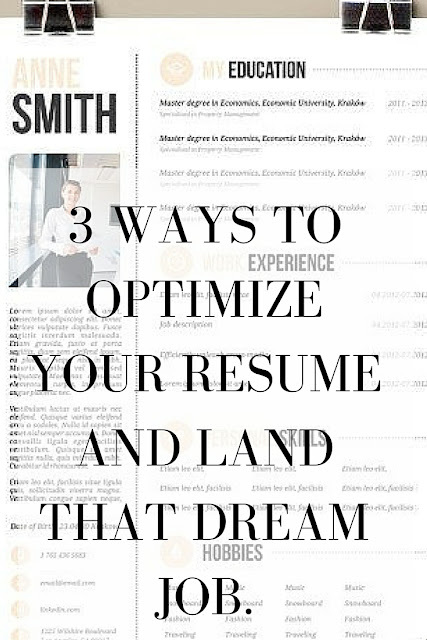 The 3 best ways to optimize your resume and land the job! So, over to you now! What re some of the tips you have for optimizing your resume? Leave yours answers in the comments below because we'd love to know. For more info on Job Application Tips, head over HERE!